What is a Diminished Value Car Wreck Claim? As soon as it is safe for you to do so, stop your vehicle. If it can be safely moved to the side of the road or a side street so you are not blocking the intersection, then move it over and turn off the ignition. Most states require you to do this, especially if the damage is minor, the car is driveable, and there are no injuries. Put on your hazard lights. Do not leave the scene of the accident. If you leave the scene of the wreck - even if there are no injuries - you potentially expose yourself to some harsh consequences - both civil and criminal. Check all of the passengers in your vehicle to see if anyone is hurt. If you are able and it is safe for you to get out of your car, check on the driver and any passengers of the other vehicle(s) involved as well. If anyone is injured, call 911 immediately. If you have any kind of emergency notification device on your vehicle such as OnStar, activate it. Seconds can literally mean the difference between life and death with certain kinds of injuries. Stay calm. DO NOT try and move anyone with visible injuries unless it is necessary to prevent further injury. If anyone is bleeding, attend to the wounds as best you can. It is a great idea to keep a first aid kit somewhere in your car. Apply pressure to any open wounds to try and stop the bleeding. Call the police to come to the scene of the wreck to write up a report. It does not matter if you think it is a minor “fender bender”. You need to have the wreck documented by the police in an accident report. It is a huge mistake to just exchange information with the other driver and leave. It may take a while for the police to arrive. Do not leave. 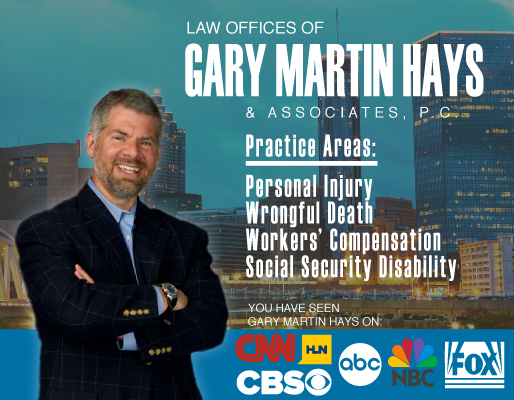 It is extremely important for you to wait so you can insure you get as much information as possible about the driver of the other vehicle and their insurance, as well as a memorialization of what happened in the wreck. A full physical description of the other driver, including age, height, weight, clothing. Insurance information, including name of the insurance company, policy number, effective date of the policy, insured driver(s) and insured vehicle. If the driver of the other vehicle is not the owner, get the complete contact information for the owner. Get the names and contact information of any witnesses to the wreck. (It is also a good idea to write down their license plate information too). Make a note of the location of the wreck - including street names and any nearby intersections. It helps to sketch a scene of the wreck. This can include location of the vehicles before impact, and where they came to rest after the collision. Write down the full name and badge number of the investigating police officer. Often times, they will have a card to give you with this information printed on it. Write down the approximate time of the wreck. If you have a camera in your car, or if your cell phone has a camera, take pictures of the scene of the wreck, the vehicles involved (including a shot of the license plates), the damage to the vehicles, any debris from the vehicles, skid marks or gouge marks in the pavement, and any injuries. Make sure you protect these photos so they are not deleted from your camera. If you can do it without causing any additional problems, photograph the other driver and witnesses to the wreck. This can be done by “including” them in the background of some of the photos you take at the scene. It is a good idea to go ahead and have a copy made to your computer, or the images printed, so you do not lose this important information. If you are injured, DO NOT risk injuring yourself further by getting on the ground to take any photos. Imagine how that could be used against you by the defendant’s insurance company. Does the driver of the other vehicle appear to be intoxicated or impaired in any way? If so, describe the behavior to the police officer and insist on further testing. Write down how you think the driver is impaired. If your vehicle has to be towed, get the information regarding the towing company, the tow truck driver, and the location your vehicle is being towed. When you speak with the driver of the other vehicle(s), you should first ask if they are injured. If so, contact 911 immediately. If not, you should only speak with them to get the information noted above. Nothing more. Do not admit responsibility for the wreck or say “I’m sorry” as this could potentially be used against you by their insurance company. Even if you think your actions contributed to cause the wreck, do not say anything. Negligence is a complicated legal issue. Even though you may think you were at fault to some degree, the law may not assess any legal blame to you for causing the wreck. Do not make any kind of “agreement” with the driver at the scene. They may tell you that there is no need to call the police because the damages are minor. Or they may tell you they will cover all damages instead of letting their insurance company deal with it. Nothing good ever comes out of those “agreements”. Your physical injuries or the damage to your car could be far greater than you may realize. Also, if you delay notifying the other insurance company because of this side agreement gone bad, the coverage for that wreck may be lost because the insurer did not receive timely notice of the accident. Do not blame the other driver - even if it is very clear that they were at fault - as this could start an argument at the scene of the wreck. If the other driver admits they were responsible for causing the wreck, make a note of what they said. Also try to memorialize anything else they tell you, such as “I was on my way from work”, or “I was leaving my job trying to hurry to pick up my dry cleaning before the store closed.” All of their statements could be very important. It is important that you fully cooperate with the police at the scene of the wreck, but again - DO NOT ACCEPT FAULT for the wreck. You will be under a lot of stress at the scene of the wreck. You may not be thinking clearly and assume facts that are not true. Statements you make can also be misunderstood or misinterpreted. If it is the right thing to do later, you can always accept responsibility after you calm down, leave the scene, and discuss the details of the wreck with your attorney. Do not argue with the police officer at the scene! Nothing good can ever come from that conduct. Also remember that it is NEVER a good idea to get involved in any kind of verbal altercation with the driver - and especially no physical altercation. Your conduct at the scene of the claim can positively or negatively affect the outcome of our claim. Be professional and courteous to everyone! It is important that you notify your insurance agent and the company insuring the vehicle that was involved in the wreck as soon as possible - even if you do not plan on filing any kind of claim with them. You may think the other person’s insurance is valid only to find out later the policy had been canceled. If you delay in notifying your company, you could be jeopardizing coverage. Document the names and phone numbers of everyone that you speak with at your agent’s office, as well as the insurance company, should you need this information in the future. Your insurance company may require a recorded statement. Most insurance contracts require that you cooperate fully with their investigation of the claim, including providing a recorded interview. One suggestion though - if you are injured, I highly recommend having your attorney present with you or on the phone with you during this recorded statement. It is always best to have your attorney notify the other party’s insurance company about the wreck. If you do not have an attorney, you should do it. Give them the basics about what happened in the wreck. Do not consent to a recorded statement until you speak with a lawyer about your case. If you were hurt in the wreck, you can disclose this to the insurance company. However, I highly recommend you also tell them you do not know the full extent of your injuries and medical bills. When you have completed your treatment, supporting materials documenting all of your claims will be provided to them. It is also important to let them know the location of your vehicle so they can send a property damage appraiser to look at it to assess the repair costs. DO NOT SIGN anything unless and until you have an attorney review it. This includes any property damage releases, or any piece of paper that allows the insurance company full access to your medical records. Your lawyer can provide them all relevant medical records when you have completed your treatment. If you have valuables in your vehicle, and you can take them out and with you, then do it. Sadly, these items will often come up “missing” when the vehicle is towed to a storage lot. It is safer not to take a chance and have the items removed. If you are physically unable, maybe a family member or friend can quickly help you retrieve these items from your vehicle.